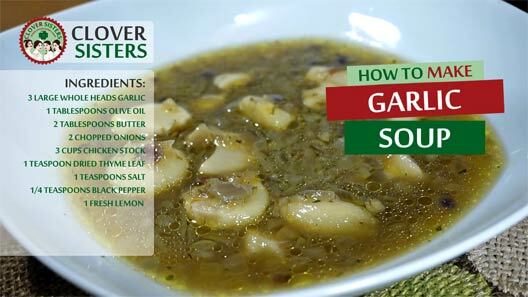 You don’t need to limit yourself to fresh garlic, you can use a garlic powder or dried garlic as well, for the best health benefits let the fresh garlic sit after you've crushed it. 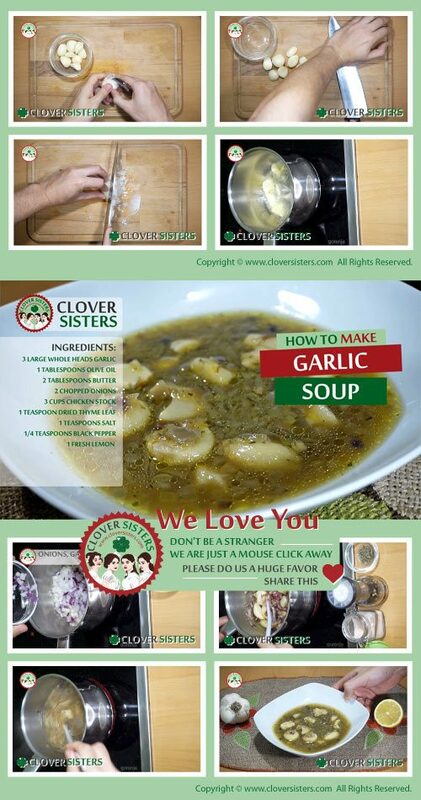 Heat a large, heavy soup pot, put extra virgin olive oil and butter, add the onions and garlic. Cook and stir until garlic cloves beginning to turn brown, add the chicken stock, thyme, salt and black pepper. Bring to a simmer and cook for 15 minutes. Use lemon for garnish.